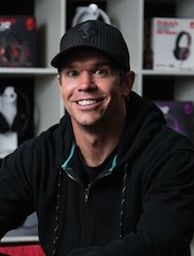 Hoby Darling was the Chief Executive Officer and President of Skullcandy, Inc. Hoby joined Skullcandy from Nike, Inc., where he held the role of General Manager, Nike+ Digital Sport. During his tenure with Nike, he was a member of the Nike Affiliates Global Leadership team and served as the Head of Strategy and Planning for Nike Affiliates (Converse, Cole Haan, Hurley and Umbro). Prior to Nike, he served as Senior Vice President of Strategic Development and General Counsel at Volcom, Inc. He worked at Volcom Inc.'s outside legal counsel as an attorney at the international law firm of Latham & Watkins LLP where he focused his practice on counseling consumer products and pharmaceutical companies. Hoby was named to Sporting Goods Business' 40 Under 40 in Sports in 2010. Hoby holds a Juris Doctorate degree from Northwestern University in Chicago and graduate degrees in Business Administration from the University of California at Berkeley Haas School of Business and Columbia University in New York. He holds B.A. with honors from Western Washington University.